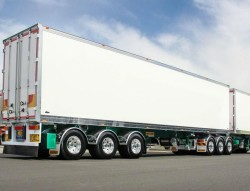 We are a small transport company dealing in fresh produce from Cobram Victoria to Syd, Bris, Melb. WANTED BDouble and Single drivers must be reliable with a clean driving record. Forklift Licence would be an advantage. Located in Cobram Victoria. No time wasters please. If you are interested, please APPLY NOW!